How Many Call Attempts Should You do Before You Surrender a Lead? Should you keep calling a prospect or is it time to let go and move on to the next lead? Let’s face it, 85% of organizations don’t make enough call attempts. Sales reps have an average of 1.7-2.1 attempts before giving up. Too many call attempts may lead to DNC which means you’re not making the most of your sales rep’s time. While too few call attempts lead to money waste. Don’t get into your prospects’ do not call list, know these telemarketing rules in Singapore. Whether you like it or not, you will agree that cold calling is important in sales in order to find out if there’s an opportunity from them. The number of cold call attempt every sales reps should make varies depending on how they do cold calls. Here’s how to determine if it’s worth pursuing or is it time to STOP calling unresponsive prospect. Prospecting – Finding out the right person who makes the decision within their organization. This can be considered as a negative call. What you can do to maximize your call? Direct Line/Ext. Number/ Mobile No. 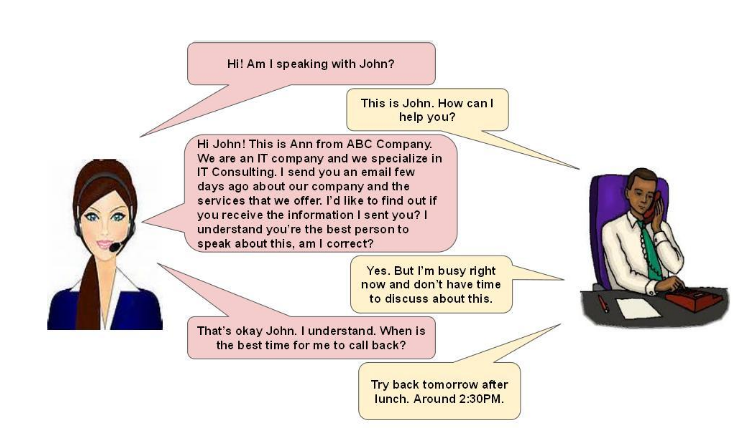 TIP: You might consider sending an introductory email right after your call. Agent called and spoke with the gatekeeper. Decision maker is still not available to talk. This is another negative call. During this stage, most of the agents get discouraged. 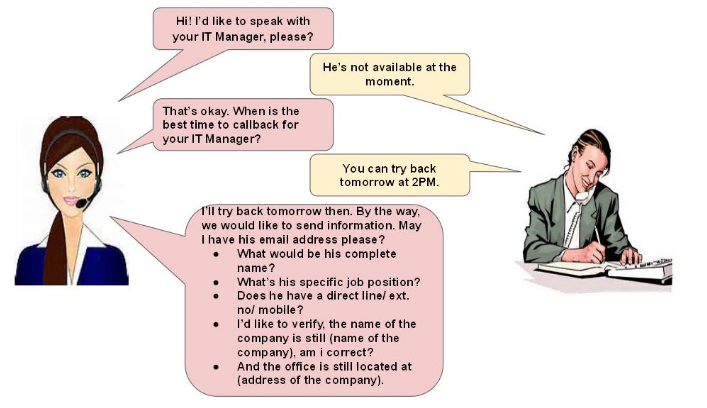 What to do for your sales rep to feel like he didn’t waste his time calling for this company? Agent can always ask for the availability of the decision maker. Follow up on the email correspondent sent. What to do during this stage? Ask the prospect for the best time to call back. TIP: Remember to mark your calendar or set an alarm to do a follow up call. During this call, agent must establish if there’s an opportunity with this company. How? Ask questions and find out about their current set. What questions to ask to spot a sales-ready lead? Find out in this article. How to determine if there’s an opportunity and that this company is worth pursuing? If they have problems/challenges even if they can’t decide to commit for now. If they have upcoming projects. If there’s anything that they would like to improve with their current setup. On this stage, the prospect expressed his interest and would like to discuss further on how your company can help their business. However, if it didn’t turn out the way you wanted it to be because prospect mentioned that they are not interested or they don’t need any of your services as of the moment, offer to send information for future reference. This way, they have your files handy whenever they need something in the near future. Prospect: We’re not interested at this time. Agent: I understand. How about if we send you more information for future reference. In case you might be doing something in the future, you have our files ready. Would that work for you? Maximize every call before you decide to surrender for a lead. By doing these tips on all of your call attempts to find out if there’s an opportunity or not. This will make sales reps feel more accomplished even if the prospects says they’re not interested because you know that they don’t need it at this point and both you and the prospect can’t do anything about it. Learn more about telemarketing today, read more calling guides! https://www.callbox.com.sg/wp-content/uploads/2016/08/How-many-Call-attempts-should-you-do-before-you-surrender-a-lead-.jpg 352 800 jayden https://www.callbox.com.sg/wp-content/uploads/2019/01/callbox-logo.png jayden2016-08-16 05:10:232019-02-05 11:32:46How Many Call Attempts Should You do Before You Surrender a Lead? https://www.callbox.com.sg/wp-content/uploads/2019/01/callbox-logo.png 0 0 jayden https://www.callbox.com.sg/wp-content/uploads/2019/01/callbox-logo.png jayden2016-08-16 03:43:272016-08-16 03:44:03How many Call attempts should you do before you surrender a lead?